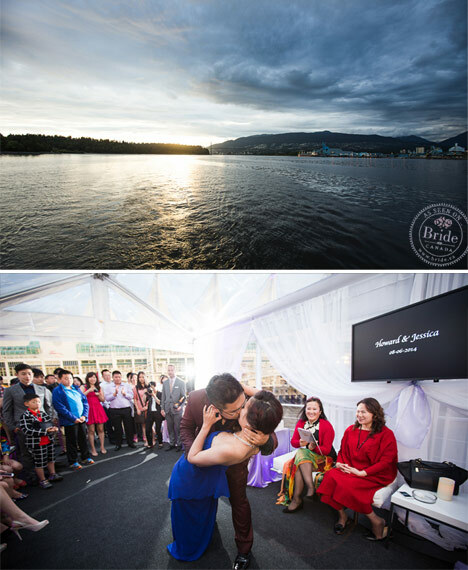 Jessica & Howard's magical summer wedding in Vancouver was an elegant affair complete with beautiful scenery and gorgeous wedding details. 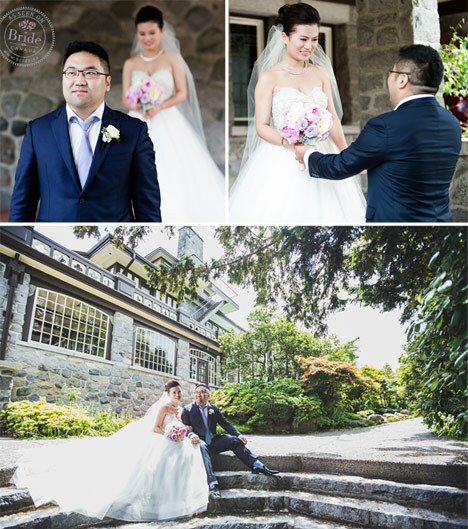 Modern Romance Productions captured every moment of the day, including the couple's traditional Chinese tea ceremony and vows at Cecil Green Park House, as well as their intimate reception aboard The Wedding Yacht. 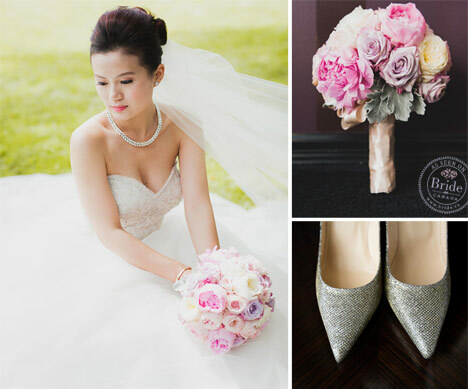 Jessica wore a Tara Keely ballgown, purchased from Bisou Bridal with an intricately beaded bodice and tulle skirt. 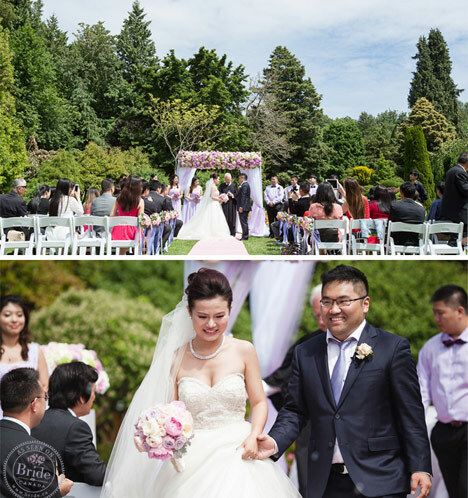 We love that Jessica added crinoline beneath her skirt to really capture her fairy tale vision! 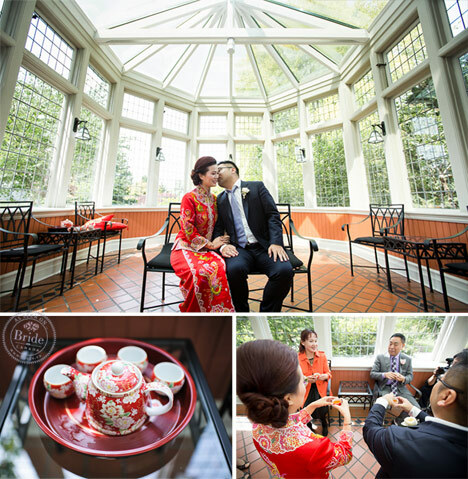 The bride & groom served tea to their parents and relatives during the traditional Chinese tea ceremony, held at the beautiful Cecil Green Park House. 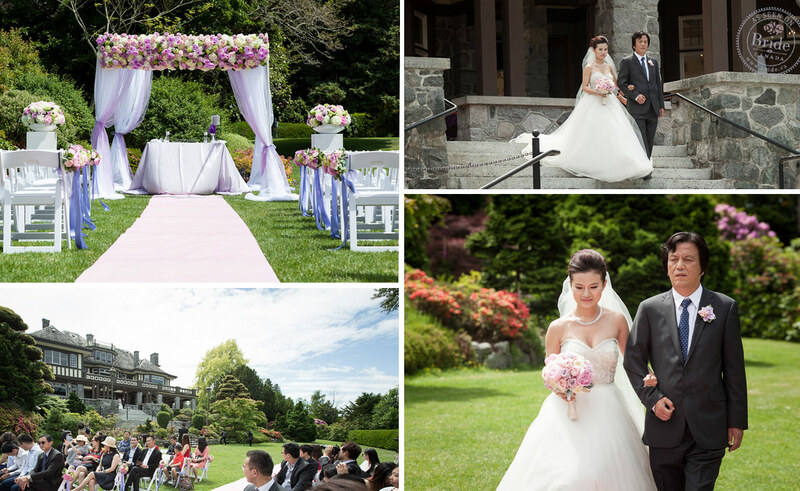 The grounds of Cecil Green Park House were a picturesque setting for the couple's 'first look' in Jessica's bridal gown. The ceremony was held on the sweeping lawn of Cecil Green Park House. The stunning floral arch, under which the couple became husband and wife, was created by Stephanie at Balconi Floral Design Studio. 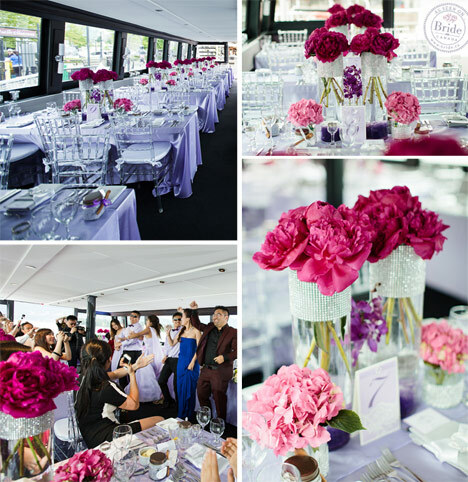 The wedding party and guests enjoyed an afternoon tea reception before heading to Coal Harbour to board The Wedding Yacht for the sunset cruise and wedding reception. 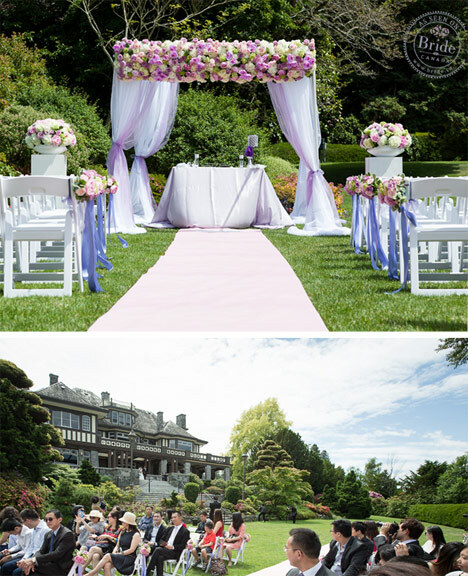 The crystal Chiavari chairs and light lilac linens kept the room bright and airy. Decor rentals were provided by Upright Decor Rentals & Design. The evening started with luxurious seafood platters and canapés, followed by a deluxe five-course plated dinner. 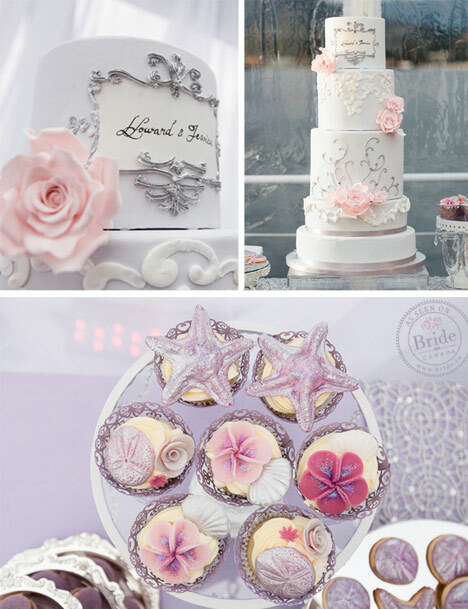 The desserts, by Petite Fantasy Sweets, and white and silver fondant wedding cake, with its intricate silver scroll detail, designed by Kien & Sweet, tied in with the lilac and silver theme perfectly. Would it be too cliché for us to say that this happy couple sailed off into the sunset? As you can see from the spectacular view, they most certainly did!